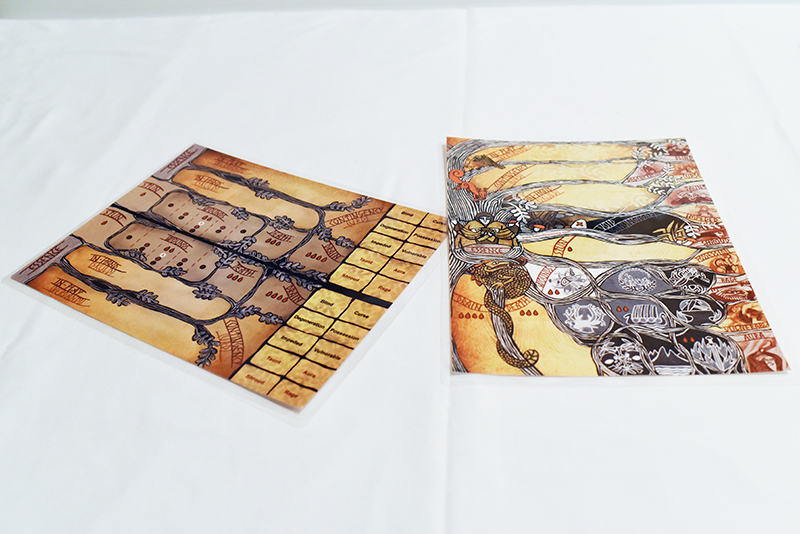 Every player gets their own rune play-mat so they can manage their actions, powers, status effects and health. There are 5 player playmats in this package. The Norn play-mat is optimized to run many monsters, and this bundle also includes 3 of these play-mats. All of these play-mats are full colour and 5-mil laminated.